Krumkill Stables offers guests the experience of riding happy horses over 60 acres of tranquility through woods and meadows to see deer, turkeys, birds and other small creatures. The grounds on which we ride are laced with tall trees with vines, wild flowers, wild grapes, berry bushes and fruit trees. The aromas are unforgettable in the summer! Krumkill Stables is "Horse Heaven." We let our horses be horses when we are not riding them. 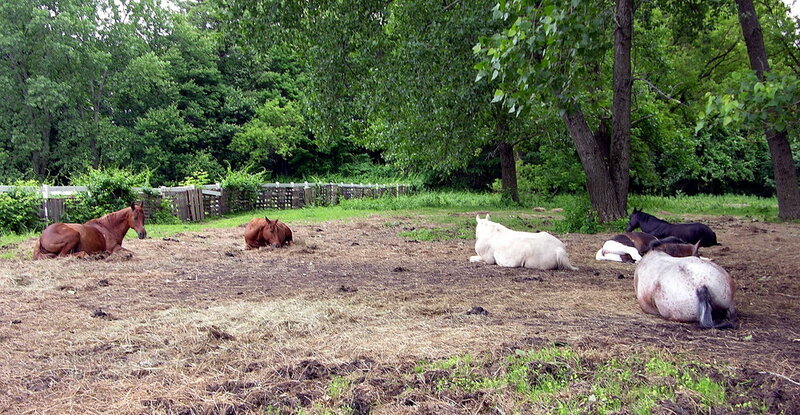 They eat grass, rest and roam on 60 acres which makes them very contented horses. We care about our horses and take good care of them. They are good for us and we are good to them in return.